The skin is the largest organ of the body; it accounts for about sixteen percent of a person's total body weight. The skin protects the body tissues from injury and infection. In addition, the skin provides insulation, temperature regulation, sensation, and produces Vitamin D when exposed to the sun. As illustrated below, the skin has three layers: the epidermis, dermis and subcutaneous tissue that stores fat. Most of the skin, except for the palms of the hands and feet have hair. Some parts of the body may have very fine hair like peach fuzz that is barely visible. Hair serves as protection from abrasions and it also acts like an early warning system that magnifies the sensitivity of the skin. The body is able to detect objects or insects that touch the hair before they come in contact with the skin. The sebaceous glands that are located by the hair shafts produce oil that lubricates and conditions the skin surface to prevent dehydration. The sweat glands, as the name implies, produce sweat that helps to cool the body. The skin can be kept clean simply by washing with a mild soap, rinsing thoroughly and then applying a moisturizing cream that does not clog the pores. Ancient cultures used olive oil or coconut oil to keep the skin supple. Modern creams such as Eucerin Intensive Repair Lotion are complex mixtures that moisturize, exfoliate dead cells, and condition rough skin. With age, the skin loses collagen, a protein that keeps the skin firm, and wrinkles may develop. There are many commercial preparations that are designed to hydrate the skin and reduce the appearance of wrinkles, but some of these creams and lotions are very expensive. A popular home treatment to reduce wrinkles is an egg yolk mask. An egg yolk is a complex mixture of fats and proteins that can moisturize and tighten loose skin. Egg yolk consists of 31% lipids and 17% protein. The lipids (fats) include 65% neutral lipids (glycerol with 3 fatty acids) 30% phospholipids (glycerol, 2 fatty acids and a phosphate group), e.g., sphingomyelin and phospatidylinositol. The egg yolks also contain 5% cholesterol which is a natural component of all the cells in the body and carotenoids such as Vitamin A, and xantophylls like lutein and zeaxanthin. Separate the yolk and the egg white. Add a tablespoon of water to the yolk. 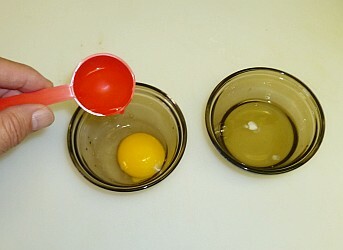 Separate the yolk and the white of one fresh egg. Prepare the egg yolk mask by beating the yolk with 1 tablespoon of water. The water makes the egg yolk more fluid and easier to apply. Wash the face with mild soap, rinse well and blot dry. Cover the face completely with a thin layer of the egg yolk mixture. Massage gently with your fingertips to spread the egg evenly. Allow the egg mask to dry for approximately 20 minutes. As the egg dries, you will feel that the skin tightens and the fine wrinkles disappear. Rinse with water, blot dry. 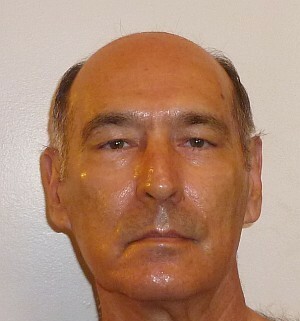 Apply a light coating of moisturizing cream. Most skin problems are caused by radiation, chemicals and microbes. Some conditions are the result of stress or injury, such as the thickening of the skin from frequent rubbing which produces calluses. Pregnancy may produce abdominal stretch marks, and abrasions and wounds usually leave scars. Exposure to the sun for short periods of time is beneficial because the skin produces Vitamin D. Long-term exposure to the sun breaks down the tissues and produces sunburn. 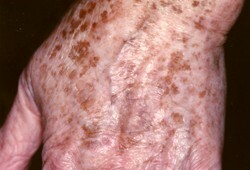 Chronic exposure to the sun causes permanent damage to the skin cells that may become evident many years later in the form of age spots, also called "liver spots", or as skin cancer. Indoor tanning by using a tanning bed, booth, or sunlamp can cause skin cancers including melanoma, basal cell carcinoma, and squamous cell carcinoma. The ultraviolet radiation from the tanning lamps damages the skin leading to premature skin aging like wrinkles and age spots, and can also cause cataracts and cancers of the eye. People who begin indoor tanning when they are young have a higher risk of getting melanoma. We are constantly exposed to chemicals in our modern world. The chemicals may be derived from laundry detergents, cleaning fluids, perfumes, cosmetics or metal jewelry. Many of these chemicals can cause skin irritation that may persist until the exposure to the chemical is eliminated. The best advice is to avoid exposing the skin to these irritants. 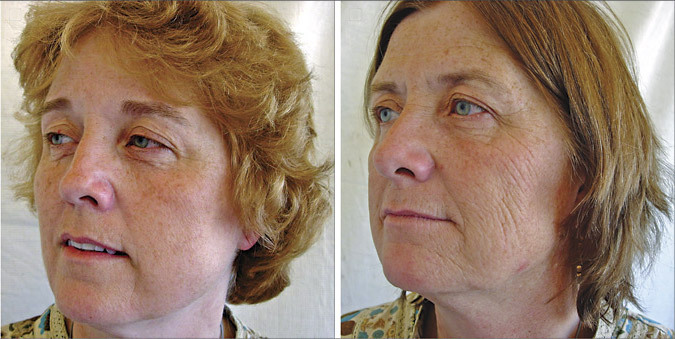 The following photographs show the effect of cigarette smoke on the skin of identical twins, aged 52. The twin on the right smoked approximately three cigarettes per day (52.5 packs per year), and her skin has a lot more wrinkles and more severe aging. Learn how to quit smoking. Bacteria, viruses and fungi can cause various skin conditions. Acne and pimples are usually caused by bacteria. The usual remedy for this is to wash the skin regularly and thoroughly every day. A face wash with benzoyl peroxide helps to kill harmful bacteria. 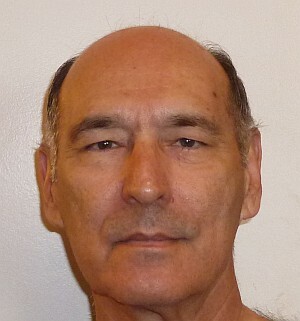 Viruses, such as the Human Papilloma Virus (HPV) can cause warts. Fungal infections can cause ringworm (tinea), dandruff and athlete's foot. Warts are normally cured by freezing or by application of medications containing salicylic acid. Fungal infections can be treated with a variety of antifungal creams or ointments. White vinegar is sometimes used as a home remedy to combat fungal infections.